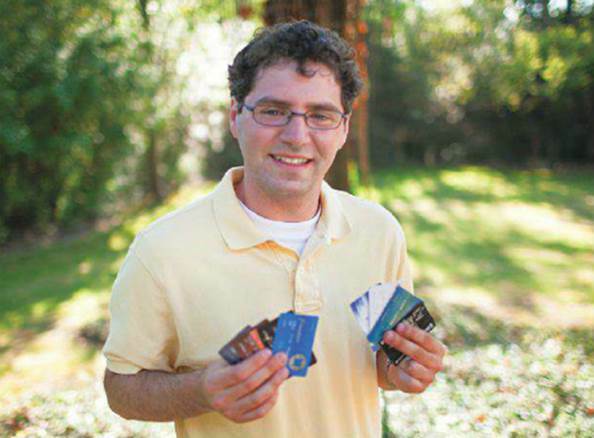 Jordan Leventhal of Cleveland, a 23-year-old college student who works as a paramedic, has accumulated eight credit cards. He has a good credit score and doesn’t carry any interest-charging balances. He tries to match up his purchases with the cards that pay the highest rewards for what he’s buying. But by spreading his spending among so many cards, he’s missing out on opportunities to maximize his rewards. For instance, he wisely opted in to the summertime offer by the Chase Freedom Visa cards that paid 5 percent cash back on gas and restaurants- his two biggest spending categories- and 1 percent on everything else. But he has also used other cards to buy gas and restaurant meals, missing out on getting 5 percent back on those occasions. He also has a United card that he took out to get a free-flight sign-up bonus; he uses it for non-travel purchases but is a long way from earning another reward ticket. Though it has an annual fee, the United card is worth holding to book flights on that airline because it pays 2 miles per dollar spent on flights and provides free baggage checks. But he should concentrate all of his other spending on higher –rewarding cards, such as the Chase Freedom cards for purchases that qualify under its 5 percent seasonal promotions and the Capital One Cash rewards cards for everything else. That card pays 1 percent on everything and adds a 50 percent bonus on cash back at the end of the year. Jordan Leventhal of Cleveland is spreading his spending among eight cards. He’d be better off concentrating his purchases on two cards, depending on what he’s buying, to maximize rewards. Rewards cards aren’t suitable for cardholders who carry a balance, because they generally carry higher APRs than other cards. Robert Muthumbi, 41, of Flowery Branch, Ga., owes $5,425 on his Capital One cards, which has a 22.0 percent APR, and $5,000 on a Discover card at 16 percent. For several years, he’s been I “repayment mode”, paying two to three times the minimum balance due each month in an effort to clear it. The issuers have refused to reduce hi interest rate. Muthumbi’s best option is to transfer the balances to a card with a lower APR. Many cards offer 0 percent financing for 12 to 18 months, though most charge a transfer fee of 3 or 4 percent up front. After the introductory period ends, the APRs will probably jump to between 12 and 22 percent. So Muthumbi needs to figure out how long it will realistically take to pay off his balances. If he can do it in 15 months, his best bet is the Chase Slate card, which offers 0 percent for that time period and no balance-transfer fee if the transfer is made within 60 days of opening the account. If it will take more than two years, he should choose the PenFed Promise card, which currently has an APR of 4.99 percent for the life of the balance, with no transfer fee. (To get the card, you need to join the Pentagon Federal Credit Union. Membership is free for members of the military and their families, federal employees, and members of qualifying organizations. Others can join by making a $15 donation to a military-family nonprofit. Go to penfed.org for details). Other cards that have low transfer APRs include some from Simmons and IberiaBank. If it will take more than two years, he should choose the PenFed Promise card, which currently has an APR of 4.99 percent for the life of the balance, with no transfer fee. Once Muthumbi finds a good balance-transfer card, he should make his everyday purchases with another card that gets paid off each month. His new card might have a different APR for purchases and balance transfers, which could cause him to compound his debt. 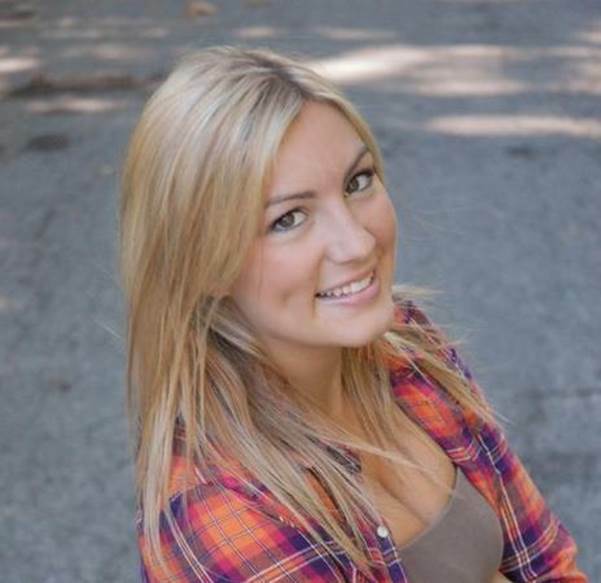 Dana Kippel, 23, of Delray Beach, Fla., has been rejected for several credit cards, including those from Macy’s and Nord-strom. She was also turned down for a card by Chase. Where she maintains a bank account. She works full-time but hasn’t built a credit history. She want a credit card so that she can begin doing that. After being rejected for several credit cards, Dana Kippel of Delray Beach, Fla., should apply for a secured card, which will enable her to establish a credit history. Cards aimed at people with little or limited credit histories often have huge startup costs, monthly maintenance fees, and giant interest rates. We found real lemons, such as several cards from First Premier Bank that charge $170 in first-year fees. The Matrix Card by Discover from Continental Finance had high ongoing costs. In the second year, a $12 monthly fee kicks in on top of a $75 annual fee, for total charges of $219 a year. Its 29.00 percent APR is also among the higher ones we’ve seen, though the 36 percent APR charged by several First Premier cards eclipsed that rate. Kippel would be smart to avoid such cards. Because she has already been turned down by Chase and several retailers, her best option is a secured card, which requires a security deposit that is generally equal to your spending limit. The Capital One Secured MasterCard reports to all three major credit bureaus. It has an annual fee of $29 and its APR is currently 22.9 percent, but it has a low maximum late-payment fee of up to $19. Kippel can get an initial credit limit of $200 by putting down a refundable deposit of as little as $49, depending on her creditworthiness. After she establishes a good payment history over 12 to 18 months, she can ask Capital One or another bank for a standard credit card.